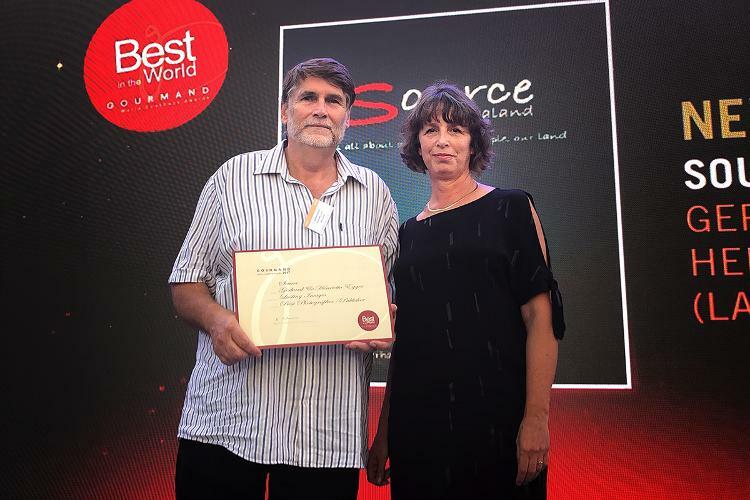 Source New Zealand, it's all about our food, our people, our land has won the No 1 award for Best in the World for the category 'Best Photographer/Publisher' at the Gourmand World Cookbook Awards 2018. Gerhard and Henri attended the award ceremony and conference having won Best in New Zealand in 3 categories; Best Photographer, Best Culinary Travel and Best Photographer/Publisher. Their acceptance speech included a thank you to New Zealand's hard working and committed food producers and harvesters, it was a privilege to be able to tell their stories. As the the authors, photographer, designer and publisher of Source, this was a great honour and international recognition. New Zealand is a small and isolated country with a diverse environment. As a nation we rely on our agriculture and aquaculture, Gerhard and Henri believe we need to get better at promoting ourselves in the international arena for the quality of our produce and be proud of what is being achieved in Aotearoa - let's continue to tell our stories. 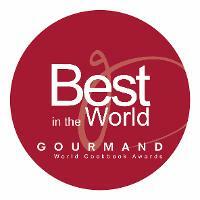 The Gourmand World Cookbook Awards are held annually and are recognised as the largest competition of its kind in the world, with over 200 countries participating and many thousands of books entered. Do you love great Food? Join us on an exciting journey around the countryside and waters of New Zealand. Our latest book is now available from this website and all good bookstores New Zealand wide. Source, it's all about our food, our people, our land. This latest book by authors Gerhard and Henrietta Egger takes you on a journey around the beautiful countryside and waters of New Zealand, Aotearoa. The insightful documentary is a result of over a years travel, looking at the New Zealand food story and the dedicated people who are passionate about their product—the Source if you like—of where it all begins. The stories and photography in this stunning edition will provide many hours of enjoyment to anyone with an interest in good food and where it comes from, including chefs, the home cook, hunters and fishermen, farmers and cheese lovers. For those who also enjoy cooking and experimenting with new and innovative ideas, the selection of recipes at the back provide inspiration as well as touching on some kiwi favourites. 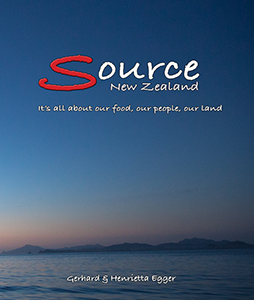 Source will make an ideal gift for anyone who has an interest in good food and the New Zealand food story.